How much is your passport worth? The world is increasingly interconnected, particularly among the high-net-worth, and cross-border activity is now the norm. With so much money flying around, governments worldwide are taking note and rushing to enact regulations to control, and get a piece of, the action. These regulations seem to be taking two major forms, according to Knight Frank’s recently released 2018 World Wealth Report: taxation and calls for transparency. Many nations have created or raised taxes that largely target foreign high-net-worth investors and buyers in attempts to keep assets on-shore. Further, calls for transparency have picked up even more steam as governments try to control—or at least monitor—the movement of wealth globally. The common reporting standard, launched in 2017, requires signatory countries to automatically share data on foreign accounts. It’s currently the most widespread transparency initiative, now encompassing over 100 countries (though, notably, not the U.S.). 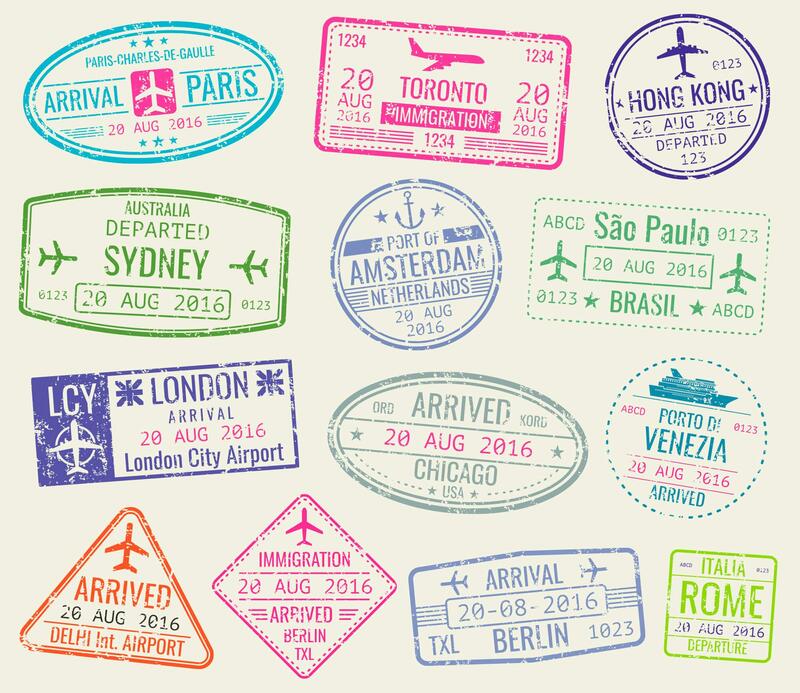 Based on data from their Attitudes Survey, Knight Frank reports that 34 percent of UHNWs already have a second passport, a further 29 percent are planning to purchase one and 21 percent are considering permanent emigration. “The result has been a bidding war, as more countries seeking new sources of revenue try to encourage foreign direct investment in return for citizenship,” the report states. Residence by investment programs, which effectively allow individuals to “buy” citizenship by investing a certain set minimum amount in a country, are a topic we’ve discussed in the past, but they’ve recently taken on even greater importance. The table below illustrates some of the most valuable passports to hold, and there are some interesting names near the top. 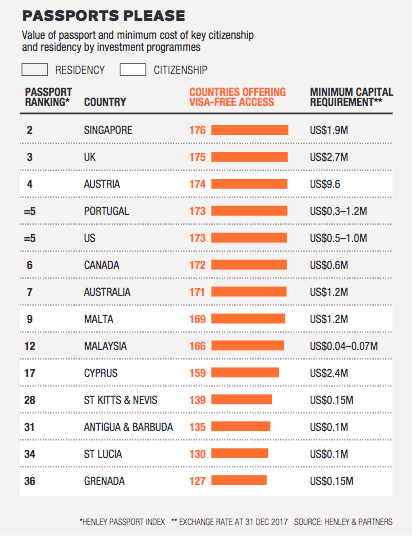 Singapore, Malta, Malaysia and Cyprus likely aren’t the first countries that spring to mind when the topic of valuable passports is broached, but here they rank in the top 20, based on government regulatory “friendliness,” visa-free access to other countries and how cheap their residence by investment programs are. How various nations tackle this issue will tell the tale of worldwide wealth flows in the foreseeable future. The World’s Richest City Is….